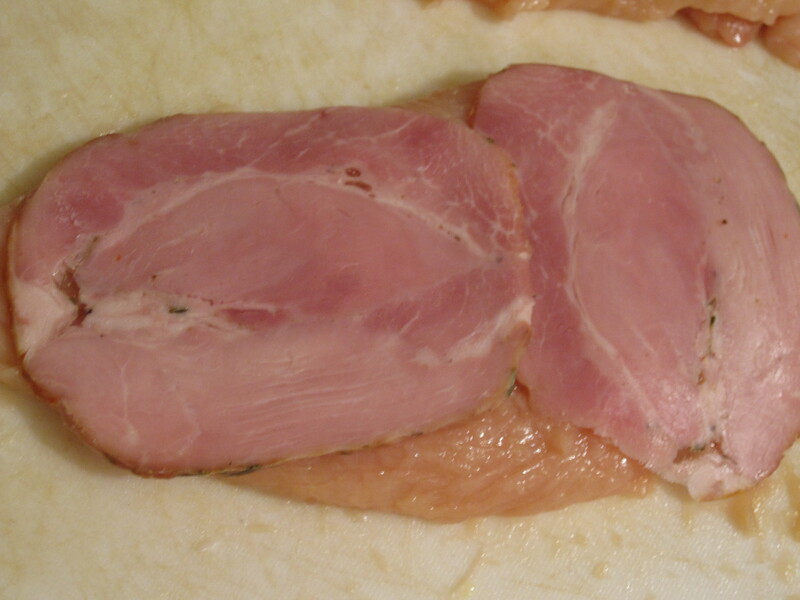 I went to the deli section at Penn Mac with the idea to get thick sliced ham and saw rosemary ham on the board. 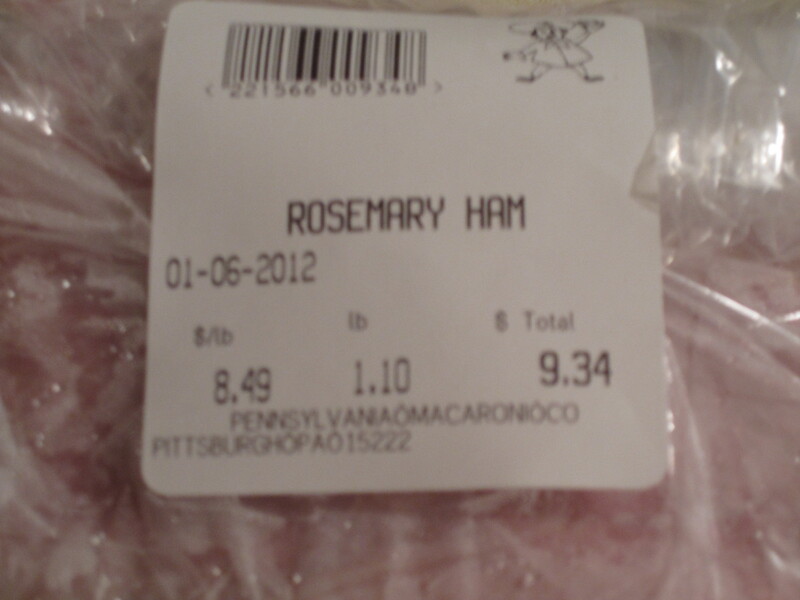 I have never seen rosemary ham and thought it would be a good twist, though while at the counter I debated getting hot cappicola. I will definitely try this again with the cappicola for more of a kick. 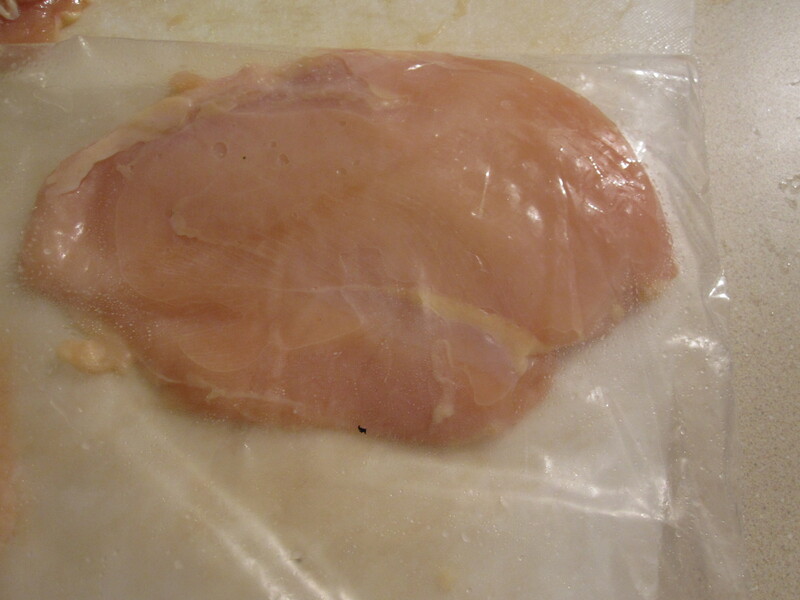 I could taste the rosemary when eating the ham out of the bag, but didn’t taste it in the final product. 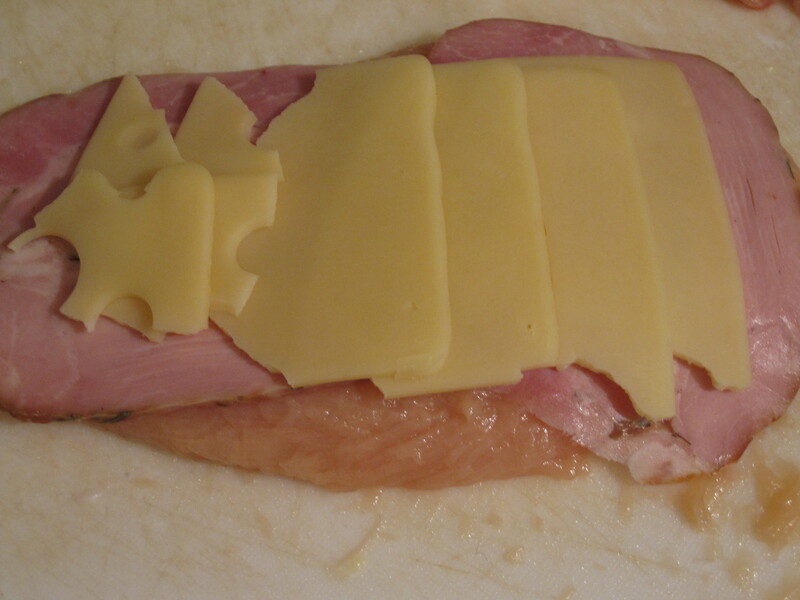 I asked for it to be thick sliced and also got thick sliced swiss. 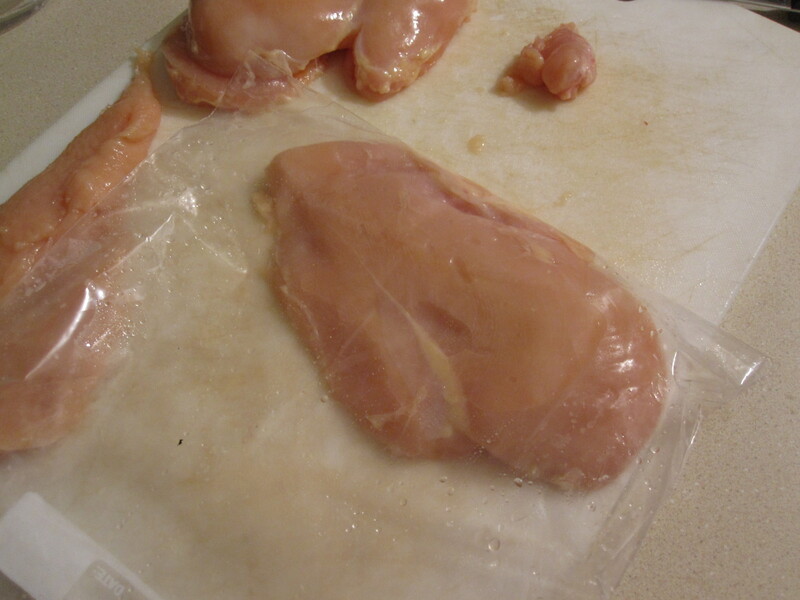 Next I fileted the chicken breasts and pounded them in a plastic bag. 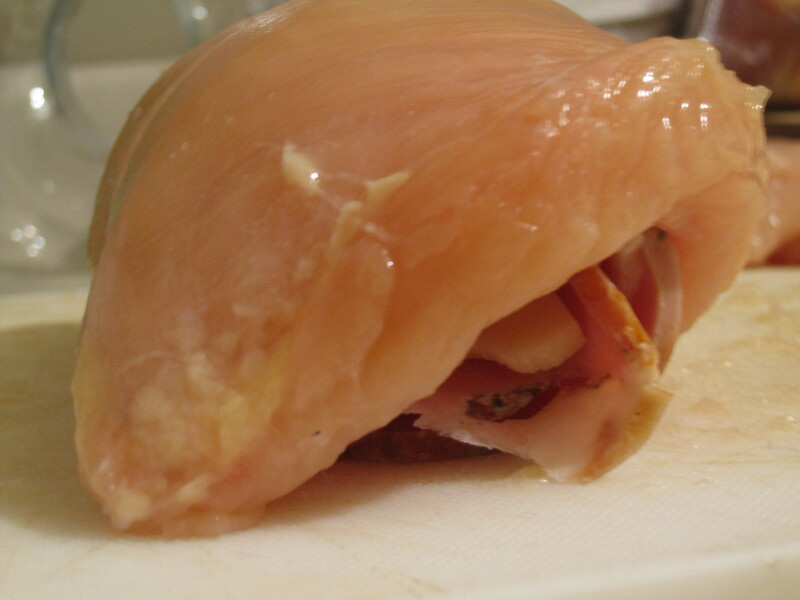 Then the assembly of the rolls which was putting two slices of ham and two slices of cheese on each piece of pounded chicken breast then rolling as tightly as you can. 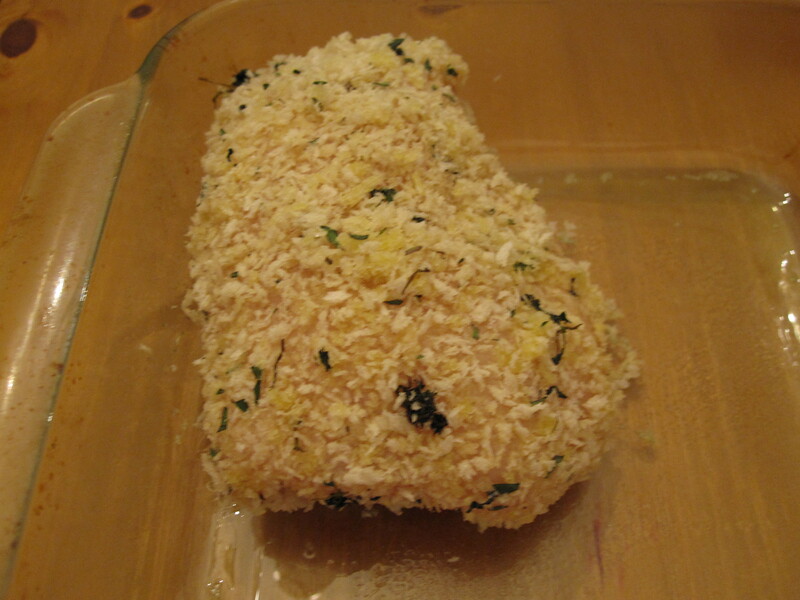 As you will see, I manipulated the cheese a bit to fit onto the chicken as it tapered toward the bottom. It can be tough to roll it tightly, but do your best. 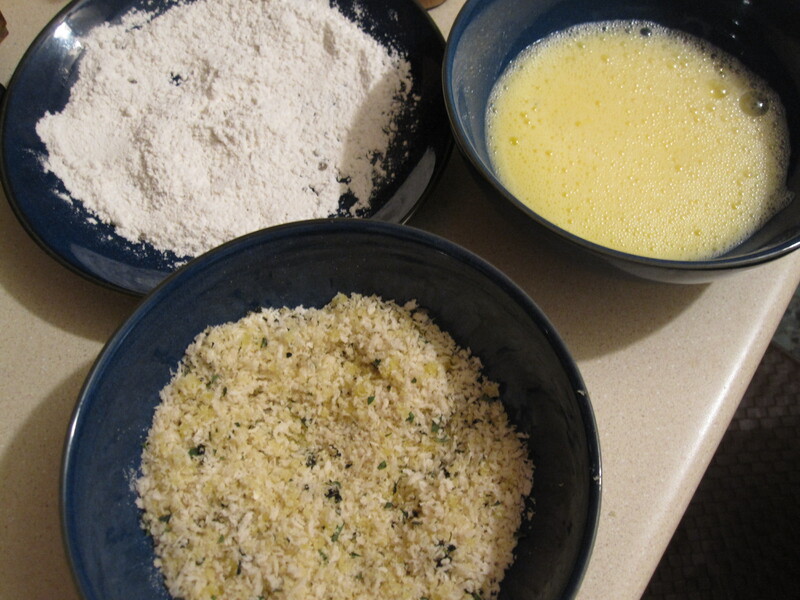 Next up is dipping the rolls in salt and pepper seasoned flour, beaten egg with water, and panko breadcrumbs. 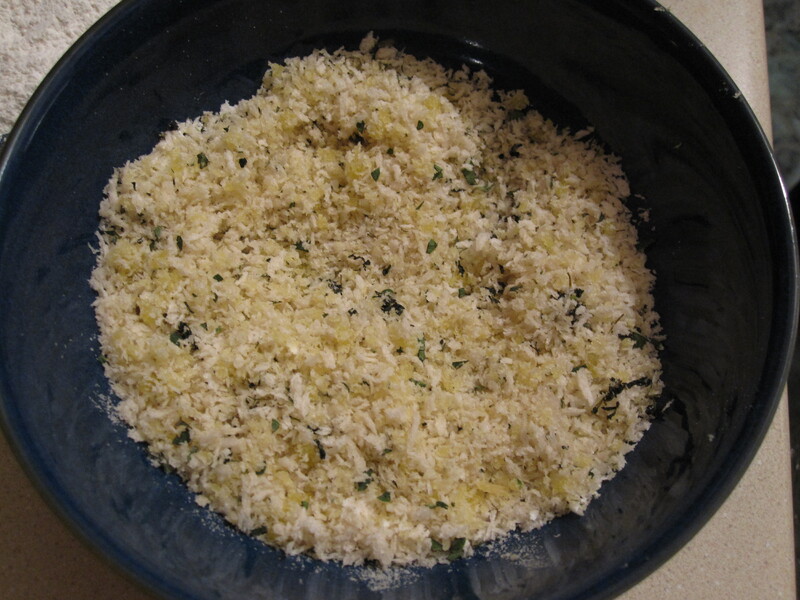 I added some fresh chopped oregano to the breadcrumbs and oil to bind them and brown while baking. 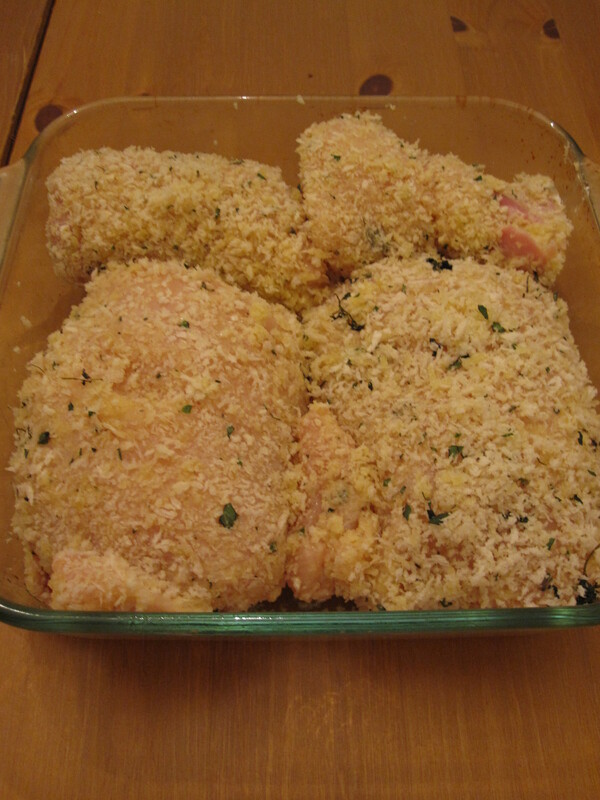 I got just a few tastes of the oregano when eating the chicken and really liked it. 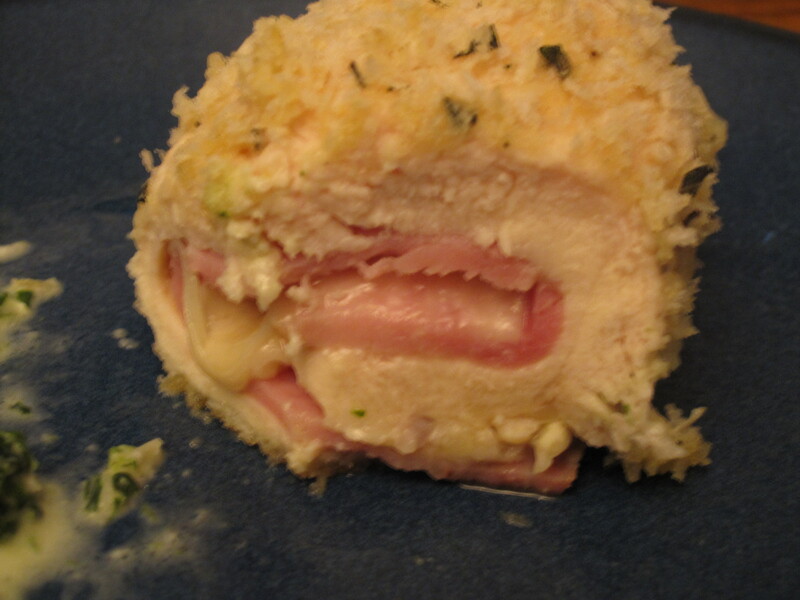 Next time I would make it more prominent and possibly just add the chopped fresh oregano on the ham before stacking the cheese. 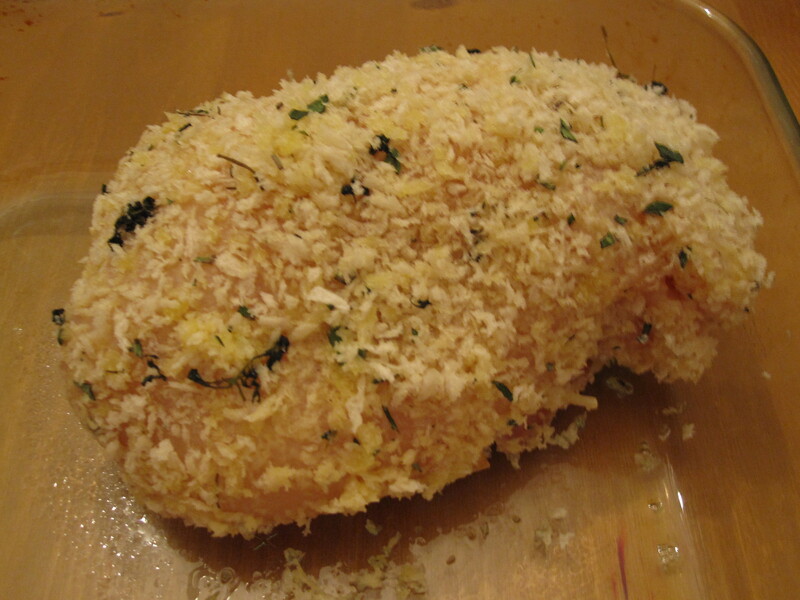 Then bake at 350 for about 20-25 minutes. 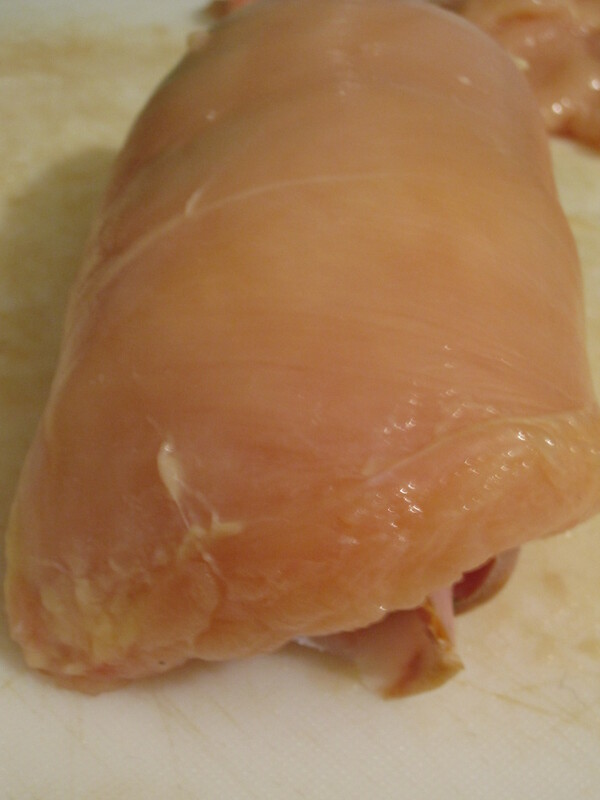 Make sure that the chicken is cooked through to the middle. 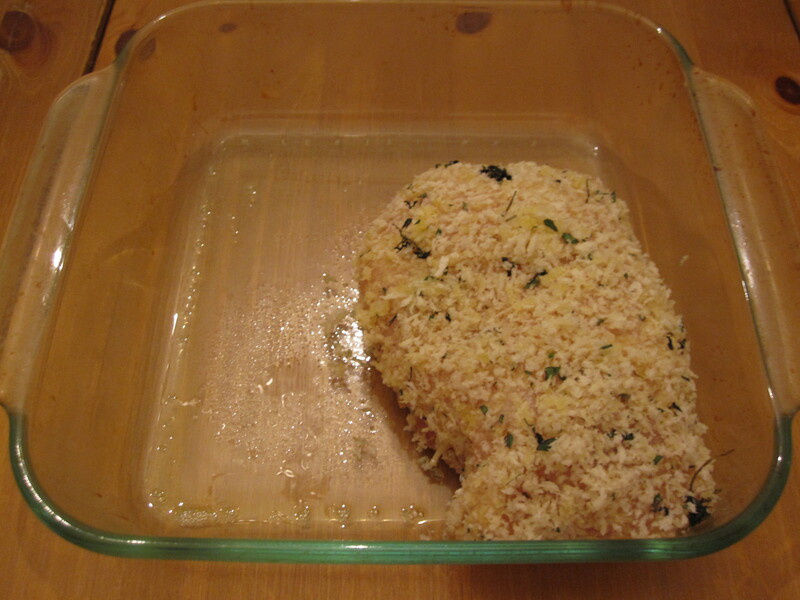 The cheese did not melt and run as much as I thought, but it probably helped that they were tightly packed into the dish. 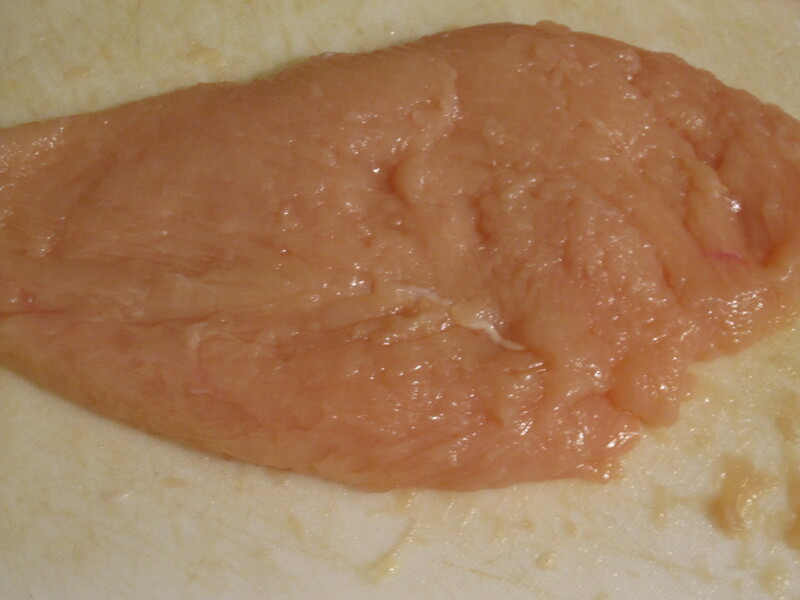 We served this with creamed spinach. 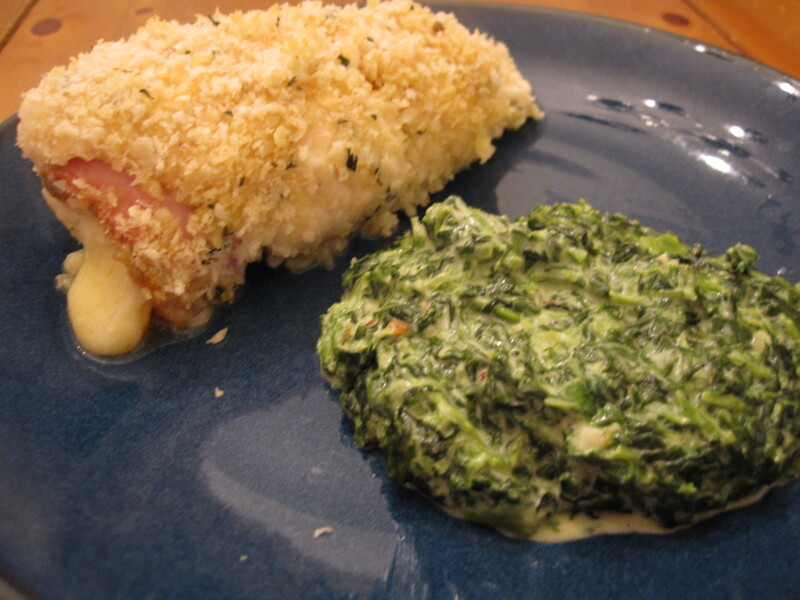 This entry was posted in Chicken, Uncategorized and tagged baked, beaten egg, chicken, creamed spinach, easy, ham, oregano, panko breadcrumbs, pepper, rosemary, salt, swiss cheese. Bookmark the permalink.